After watching four kids go through the toddler stage, it’s been so interesting to see patterns emerge when it comes to the toys they play with. What I’ve noticed is that some toys get used over and over by each successive child. (That makes them keepers in my book.) Others get used once or twice and then never looked at again. Sure, every kid is different, but we’ve been through a lot of toys between our four, so I feel like I have a pretty good grasp on what toys are worth forking out your hard earned cash for, and which ones you may as well skip. We’re basically like a toy-testing lab over here. 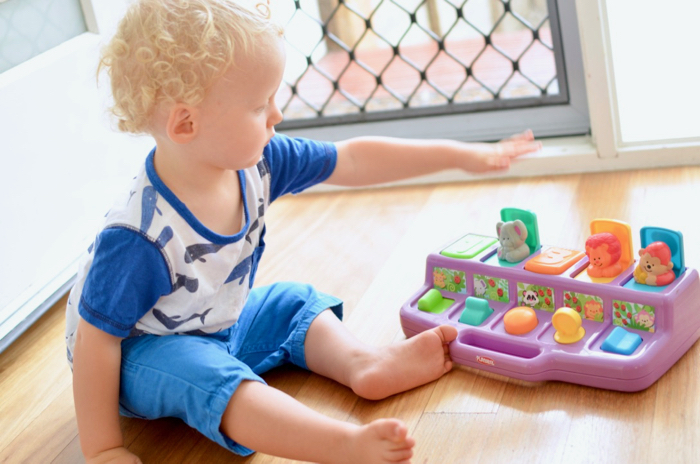 My youngest is in the toddler stage right now (he’s 18 months old), so today I want to share my tips for what makes a good toddler toy. 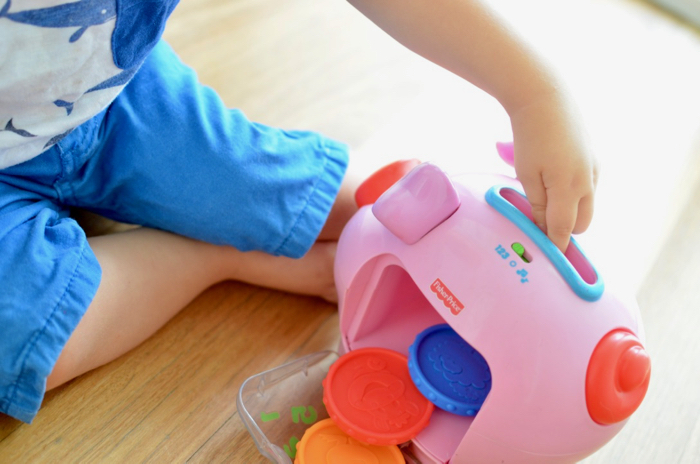 What makes a good toddler toy? The first child was our toy guinea-pig. We wasted a lot of money on that kiddo. Not because we spent a fortune on toys for him (we didn’t – I really don’t like clutter) but because we hadn’t yet figured out what toddlers actually like. So we didn’t really get the best value for money with every toy we bought. What I eventually learned (and which was cemented with each successive child) is that some types of toys have become classics for good reason. Kids love them – because there are certain things kids just love to do. And if a toy meets a need in a child, it will be played with. Over, and over, and over again. So here’s what toddlers love. Toddlers love to poke things in slots. Just ask any parent with a DVD player. My friend lost her car keys for 8 months. The DVD player mysteriously stopped working around the same time. Took them a while to put two and two together. 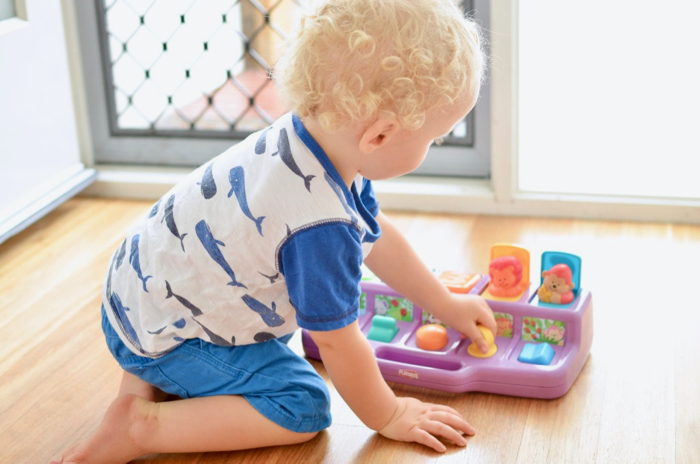 If you can find a toy to meet this particular need, you’ll not only save your household appliances, you’ll be helping your little one develop fine motor skills as well. Toddlers love to bang. Banging and pounding are gross motor movements that feel powerful. Little people don’t have a whole lot of control over their world. I guess banging on stuff lets them feel like they’re making a real impact. Toddlers love cause and effect. Perform an action, something else happens. They’re learning that they can control outcomes. Once they can predict what will happen, they’re hooked, and they’ll do it a hundred times. Basically, cause-and-effect toys are like crack for toddlers. Toddlers love surprises. You can play peek-a-boo twenty thousand times with a toddler, and long after you’ve fallen asleep from boredom they’ll still find it hysterically funny. Find a toy with parts that pop up and give them a surprise, and you have a winner on your hands. Toddlers love ramps and things that roll. There’s something especially magical about the combination of gravity and an incline. It’s cause and effect on steroids. All a little tot has to do is drop a ball or place a car at the top of the track, and the magic takes over. So thrilling. Repeat times infinity. Toddlers love making music. Give them something to shake, rattle, toot, or ding. Each musical instrument is like a little puzzle – how will they get a sound out of it? Once they’ve discovered the secret, they get to make a lot of noise. Winning. Toddlers love to mimic what they see big people doing. We’ve all seen little ones hold some random object up to their ear and pretend to talk into it like a phone. You’ve probably also caught them pointing an air-conditioner remote at the television to try to turn it on. Monkey see, monkey do. Toys that let little tots role-play at adult routines will always be popular. Especially covetable are toy versions of the things they’re not allowed to touch – phones, remotes, keys. Toddlers love to push and pull. Strollers, walkers, shopping carts, wagons. They will push and drag those things around all the day long. Bonus points if you can use said vehicle to transport items from one place to another. For some reason, this activity never grows old. My five year old STILL plays at loading toys into a shopping trolley and unloading it in another room. Toddlers love to build (and knock down.) Anything hard to put together will be too frustrating and quickly abandoned. But simple, easy to handle construction pieces sized for little hands are a sure winner – and fantastic for developing fine motor skills. The bonus here is that construction is a fun activity to do together. You build something, your kid knocks it down. So bonding. Toddlers love magnets. This one, of course, comes with a HUGE caveat – NEVER give a toddler a magnet small enough to fit in their mouth. Magnets can be very dangerous if swallowed (they can stick together through the intestine walls and cause massive issues.) So any toys with small magnets that could come loose are a no-no in my book. But big chunky magnetic pieces are a winner. Magnetism is like gravity – an invisible force that seems utterly magical to a little child. They’ll be fascinated at being able to stick something to a vertical surface and have it stay right where they put it. You get the idea. Now it’s just a matter of finding toys that meet these needs. Here’s my round up of the best of the best. These are our very favourite toddler toys that have been used and loved to death in our home, by all four successive children, both boy and girl. Affiliate links are used in this post. You can see my complete disclosure policy here. 2. Playskool Busy Poppin’ Pals: This classic has the element of surprise, plus it requires a variety of fine motor manipulations. Each button or lever has to be pushed or pulled in a different way, then – POP! Up comes a funny animal! Each of my kids have been abosorbed for AGES in this game. It’s taken each of them a while to work out how to manipulate all the controls, but the excitement of the reward keeps them really engaged. Plus, there are some easy buttons that they’ll be able to master right from the start so they don’t get frustrated – and even a baby will love pushing the animals back down when you pop them up. 5. Car Keys: Your real-life car keys are like the Holy Grail of toddlerdom. It is the goal of their entire existence to get their chubby little fingers on those keys. Many toy manufacturers have attempted to satiate this longing with large chunky plastic keys. Don’t even bother. They’re nothing like the real thing, therefore your little one will not be remotely interested. Pfft. Good try, Mum. These, on the other hand, are a winner, because they’re sized small and have realistic little buttons that blip and flash. The moral of this story? If you don’t want your real keys being flushed down the toilet, dropped into the garbage bin, or stuffed into some crevice where you will never find them again, try these instead. 6. 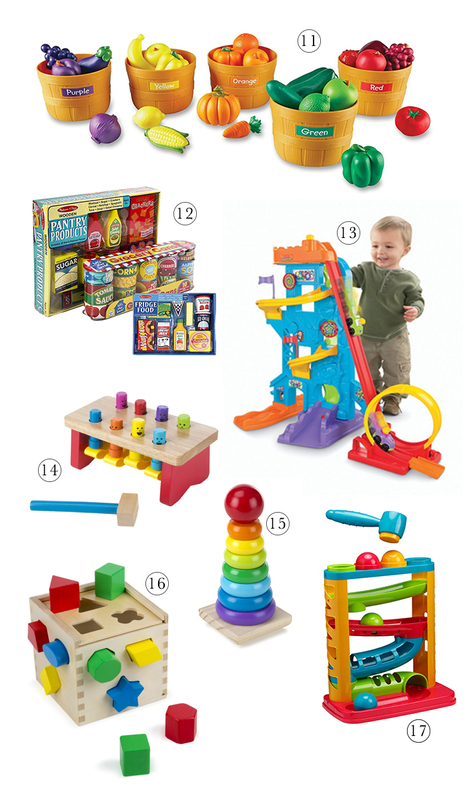 Melissa and Doug Wooden instruments: I’m a big fan of Melissa and Doug wooden toys. These instruments are beautiful quality, and they’re made to last. We’ve had this exact set for years, and everything still works like new. Cheap tambourines quickly split and come apart, but this one has been battered half to death by a variety of objects and is still intact, with nothing more to show for its mistreatment than a few little indents in the skin. It’s like some sort of miracle. There’s a really good selection of instruments in this set, which I love. My only criticism is that the shakers are not very loud. They work fine, but they’re on the softer side. (And kids like LOUD, so mine have never been overly interested in the shakers.) This may have been rectified in later editions though – as I said, we’ve had our set for something like eight years, so it’s definitely not the newest version out there. 7. Xylophone: Number one favourite instrument with all my kiddos. Toddlers love to bang, and what better to bash at than something that emits sweet tuneful notes with every assault? It makes them feel like a maestro. Hours of entertainment, right there. I prefer a real metal xylophone (it makes such a better sound than the fake plastic ones – hence, kids like playing with it way more. It’s kind of amazing how they can appreciate the difference.) 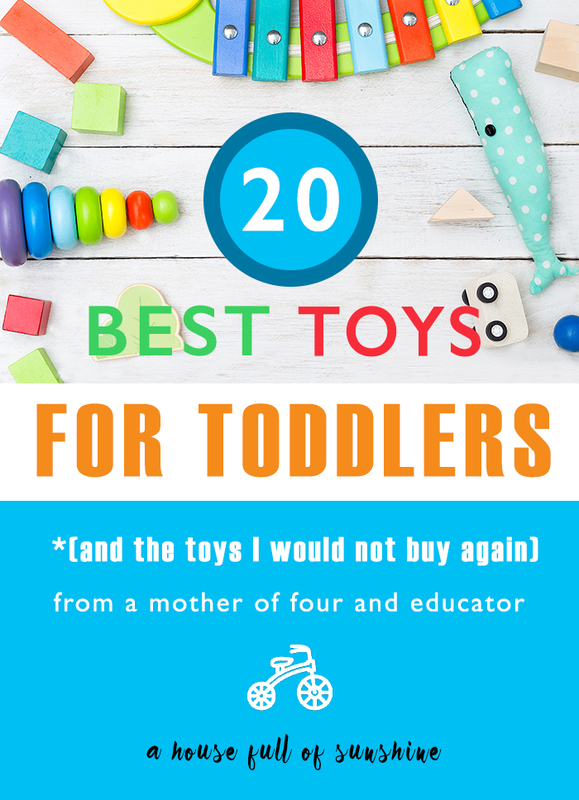 I also don’t particularly love the toddler versions with the mallet attached by a cord, because they seem to get frustrated with the restricted range of motion, and the cord always gets caught and twisted. Mine have always greatly preferred a mallet they can hold freely. 8. Mega Bloks: This may almost seem too obvious, but I have to include it, because these have been BRILLIANT value for money in our household. We started our collection when Jaxon (our first) was a baby, and have added to it over the years. Now we have a basket full of these blocks – and the 5 and 7 year olds STILL play with them at times. They fit together easily enough for even a very small toddler to manage (unlike Duplo, which is just too frustrating at this age.) They’re indestructible. And they grow with your child. So while an 18 month old will enjoy simply fitting them together and pulling them apart, a 2 year old will start building towers, and a 3 and 4 year old will use their imaginations to build animals, farmyards, and planes, all of which develops their creativity and problem solving skills. An absolute classic. 10. Magnetic builders: Now here’s a golden combination – construction toy meets magnet. Toddlers absolutely LOVE these. The chunky pieces are easy for little hands to grasp, and the look of delight when a ball locks onto a pillar is classic. Older children will enjoy creating geometric wonders (spheres, pyramids and such), while little ones are happy just zapping parts together and pulling them apart again. The only downside is that the balls are forever rolling under the furniture. 11. Shopping Cart: I feel like every toy I come to, I’m like, “oh, THIS one has been the most popular with our toddlers!” It’s actually hard to pick, because every single toy on this list is a favourite around here. But the shopping cart (or trolley, as we call it here in Oz) is a deadset winner. Our kiddos have all been absorbed for hours with loading the trolley with toys and pushing it around the house. We don’t have this exact trolley. Ours is super sturdy and has lasted us for years and years (ever since our first toddler was little, in fact). However, our basket sits freely on the handlebar and can be easily lifted on and off. And that’s driven me a little crazy, as it’s always coming off, and then everything falls out. So that’s why I looked for an alternative to recommend. I’d avoid cheap flimsy plastic shopping carts like the plague (they never last!! plus they’re too lightweight to be stable for a toddler to safely push) but this one looks like a really good quality and stable option made from wood. I actually bought this gorgeous Melissa and Doug fruit and vegetable set many years ago, which I adore because it looks so realistic, but over the years we’ve lost a few pieces and our collection has slowly dwindled. So I’m getting Charlie this Farmer’s Market set for Christmas, because the teacher in me loves that it does double duty as a toy – not only can it be used for imaginative play, but I can also use it to teach colour sorting as well! Toddlers love sorting, and Charlie is just starting to get really interested in colours. This is the most adorable colour sorting set I’ve ever seen for little tots, with chunky pieces that would be easy for chubby little hands to hold. 12. Food set with grocery cans and pantry products: Play food is always a good investment. It will be used, and re-used, and used some more. All of my children have loved role-playing with food – first as toddlers when they loaded food items into a shopping cart, pushed it around the house and took it all back out again, then of course as they got older and wanted to play at cooking and making picnics and tea parties. These pantry items are perfect for stacking on a shelf or loading into a shopping trolley. They’re wooden, and the cans are very thick, heavy-duty cardboard that can’t easily be crushed. 13. Amusement Park car ramp: I make no secret of my hatred for bulky toys. (See the next section on “toys to avoid” for more about that!) This particular toy, however, has been such a massive hit with all of my kids that it actually passes my bulky-toy-test. I don’t think I would have given it a second glance, except that I noticed the boys playing with it at family daycare when they were 3 and 2 years old. They were always completely absorbed with it and played with it for ages. So we ended up getting one of our own. There are two tracks: one very winding, and the other very steep with a spectacular loop-the-loop at the end – which actually WORKS. (All the praise hands for that.) The boys used to spend ages racing their cars against each other on the two separate tracks. It’s the perfect height for a little tacker, and it’s sturdy and does not pull apart – which cannot be said for the majority of car track/ ramp type toys (see my “avoid” list for more on that one, too.) We have gone through LOADS of different car tracks over the years, and this one has been far and away the most popular and enduring of them all. 15. Rainbow stacker: We love this classic toy. 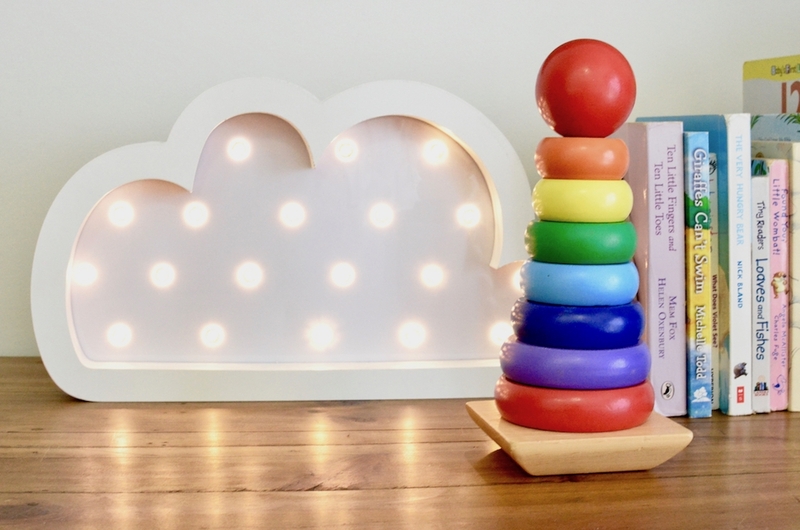 Not only does it look cute and colourful on a shelf, but toddlers love to tip the rings off and slide them back on again. Great for fine motor skills. 16. Shape sorting cube: Hands up who had a Tupperware shape sorter when they were a baby? Me too. It’s like a rite of childhood. I’m loving this wooden version even more, because as you can see, I’m a little obsessed with cute wooden toys. Plus it’s a whole lot easier to pull apart and get the blocks back out than those plastic contraptions. This one is definitely for an older toddler, and it’s one of those toys that will require Mummy’s help for quite some time. But once they (eventually) get the hang of it, it will absorb them for ages. 18. 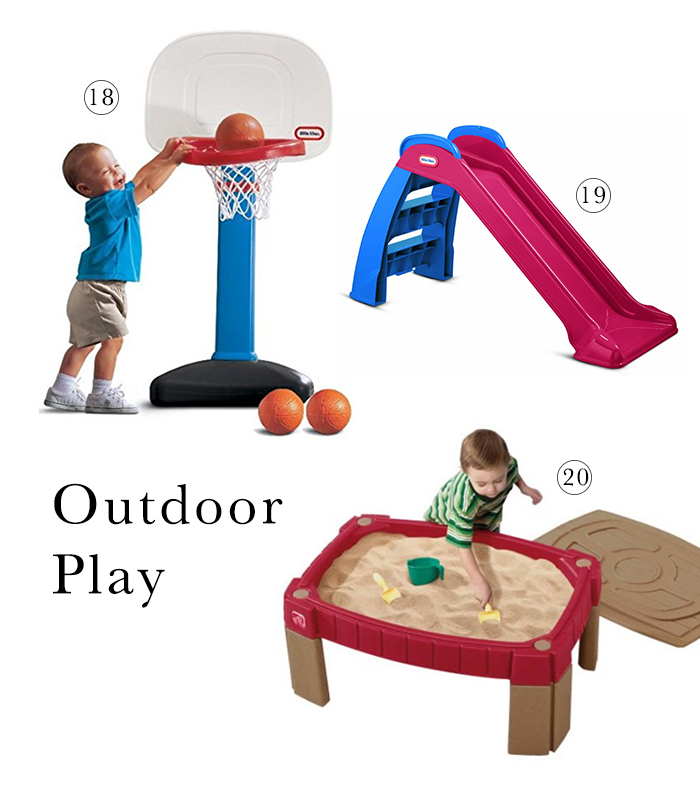 Little Tikes basketball set: This has been super popular with all our little tots. Charlie is only 18 months old, and he can easily put a ball into the hoop when it’s on its lowest setting. It also grows with the child, so you can keep raising the hoop and increasing the difficulty level. The price is fantastic for the quality and for how many years of use you will get out of it. It’s sturdy and made to last, and you can fill the base with sand so that it can’t be knocked over. 19. Little Tikes slide: Every one of my toddlers has LOVED sliding down their very own little slide. It never gets old. The bit at the top is always a little awkward at first, where they have to go from standing on the ladder to sitting at the top of the slide. So I’ve always had to help mine with that part at first, but after a while they get the hang of it, and then they’ll do it a hundred times. 20. Sand and sensory table: I looked everywhere for an affordable LARGE open table like this when my boys were little. You know how most sand and water tables have all those parts and attachments and divided areas? I wanted something simple and open so they could play more imaginatively, and so we could repurpose it over and over again for different uses – sensory play, water play with rocks and shells added, water beads, sand play, etc. What I wanted was exactly the sort of table they have in childcare centres and kindergartens – but those large commercial ones are INSANELY expensive. And it seemed like ordinary retailers just didn’t sell that sort of thing for home use. I ended up making my own using an old coffee table with a storage tub on top. (It worked great until the coffee table fell apart a couple of years later.) We used it multiple times every week, and I loved creating little worlds for my kids to explore. (Here are some examples I’ve blogged about if you’re looking for ideas: sand table zoo, sensory rice, water play, dinosaur ice age, dinosaur eggs). 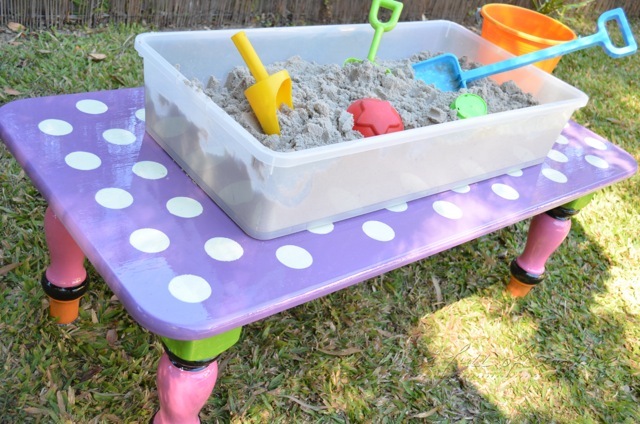 Sand, water, and sensory play have been all-time favourites around here, and with so many possible uses, I think every home with young kids should have a table that can be used in multiple different ways. I was so excited to finally find this one, years after I first started looking. It’s the perfect size, a simple design, and it’s priced waaaaay cheaper than any of the educational supply retailers. At last! Huzzah! 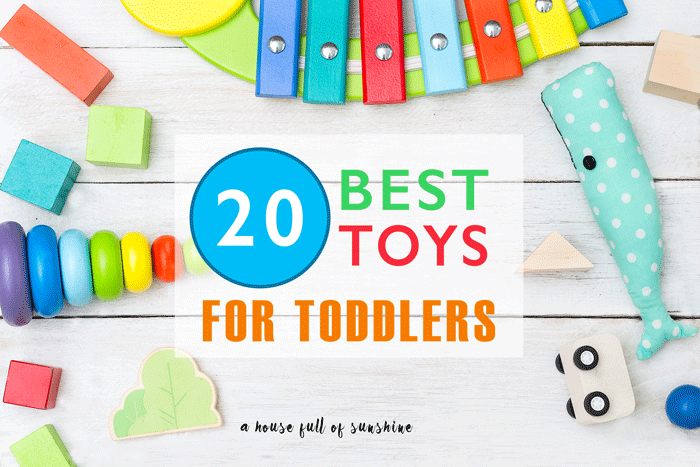 I had to stop adding toys to my collection or this post would go on forever, but of course, bubbles are another winner with every little kid I’ve ever met, and every toddler needs a spiky bouncy ball! What toys should you avoid? This is just my opinion, based on our experience with our kids. Every child is different, so some of these might work well in your household. But for us, they haven’t been worth the money or space they take up. 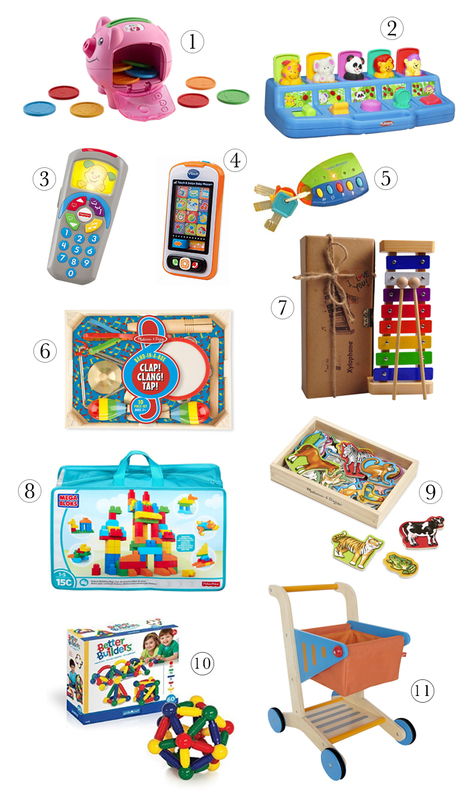 You’ll probably find this list most useful if you’re a first-time parent wondering what toys to “invest” in to begin with, or if you’re trying to declutter and need help paring down that monster toy collection. Toys that only have one function. Does the toy fill a need? What can a child do with it? Does it involve them in active play, problem solving, manipulation, and developing fine or gross motor skills? If not, you can bet it’s a novelty toy, and the novelty will quickly wear off. Sure, we all have some of this type of toy, but it definitely shouldn’t be the main category of toy you own. That’s just a recipe for clutter. Noisy electronic toys. Every parent has grown to hate these. You know the ones – they play the same song over and over for days, weeks, months and years on end in the same annoyingly fake tinny voice, until you go crazy and throw the thing off a high-rise balcony. Then you catch yourself singing the same tune in the shower three months later. That diabolical song will haunt you forever. You’ll probably still be singing it on your deathbed. The irony is that kids generally prefer toys they can manipulate with their hands and actually DO something with, rather than passive toys that sing or blip when they press a button. Toys that are hard to manipulate. This is probably the biggest category of toys that have bombed for us. 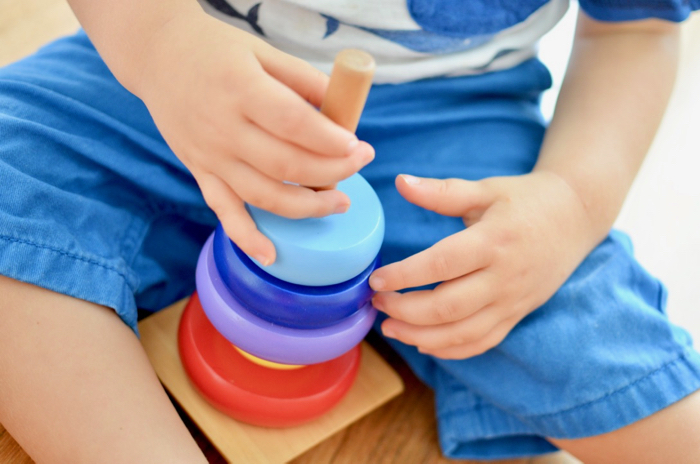 I’m talking about toys that are too difficult for the stage of the child, so they lose interest in it – but by the time they’re old enough to master the skill, they’ve outgrown the toy. One example would be stacking cups and nesting balls. 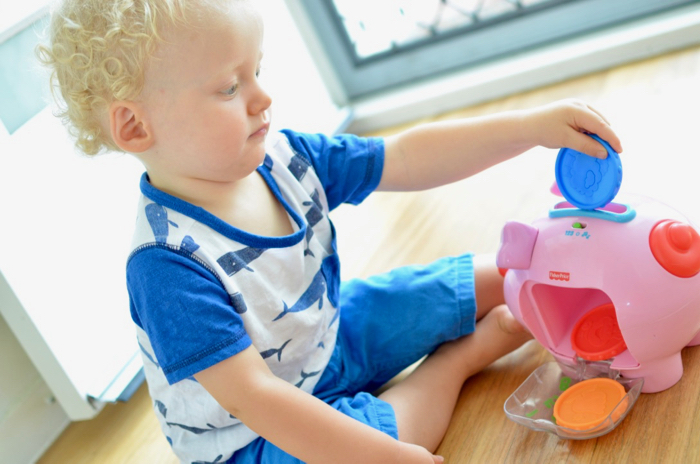 While a toddler could definitely master the fine motor skills involved in stacking or nesting, there’s a whole other level of difficulty with a toy that doesn’t even fit together if it’s not in the exact right order. Differentiating between very similar sized objects and placing them in the correct order is actually quite a difficult skill. Most toddlers will quickly lose interest. By the time they’re old enough to master the skill, they will most likely have outgrown the toy and find it boring. That’s been our experience, anyway. I prefer stacking toys that develop the same fine motor skills, but can be placed out of order without causing frustration. Toys with too many pieces. We all have some of these, but they’re hard to store and once the pieces go missing (and they will) the toy is rendered useless. I prefer generic sets that can be stored together (for instance, building blocks) rather than toys that won’t work at all if they’re missing a certain specific part. Ramps that pull apart. We’ve already established that toddlers love ramps, but for the love of mothers everywhere, don’t give a toddler a set that pulls apart. You will spend your life piecing together that ramp for him to play with, and your toddler will spend his life pulling it back apart. (Or even more frustrating for her, knocking it apart accidentally while she’s trying to play with it.) Then you’ll lose a piece of the ramp and the toy will be history. You could either glue a set together (this works really well with wooden train sets, provided you have the room to store it permanently on a table) or buy a set that is moulded into one piece, like this one that I recommended above. Enclosed hollow toys where objects can get stuck inside. It’s a law of nature. Anything that can be poked into a small enclosed space by a tiny human, will be. If you need to unscrew the whole toy to remove things from hidden chutes and crevices, it’s going to drive you crazy. Very bulky toys that are hard to store. Toddler toys tend to run on the bulky side. And it’s almost impossible to avoid having some larger items. Personally, I’m just very mindful about how many bulky toys I allow into my home. We are a family of six living in a small house with no playroom, so if it’s a big toy, it better get used a LOT to justify the amount of space it takes up. I’m also quick to shuffle these toys out of the house once it’s clear the kids have outgrown it or it’s not being used enough to validate its existence. Here’s a quick formula for you to use – if a toy is five times the size of a smaller toy, does it get used five times as much? Or even four times, or three times, or twice as much? If not, ditch it. It’s so not worth the space. The double whammy here is a bulky toy with only one function (say, a giant Tickle me Elmo doll that is fun to use the first couple of times, until the novelty wears off.) This type of toy is an easy “no” for me. Toys you think your child “should” be interested in. When I had boys, I assumed they’d be “into” diggers, dump trucks and trains. I actually spent quite a lot of money (over the course of a few birthdays and Christmases) amassing a wooden train set collection. Turns out that none of them so far have been into trains at all. I would’ve been better off testing the waters first to gauge interest – rather than projecting my assumptions on my child. 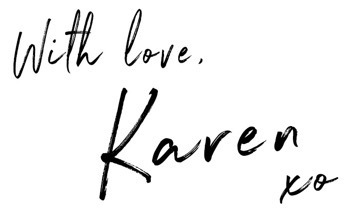 I know this has been a monster post, but I hope you’ve found it helpful! You can always pin it for later, too. Let me know in the comments – what toys would you add to this list? Do you have any all-time favourites I’ve missed? Very much enjoyed your post! Our little one is 13 months old now, and I agree that it becomes pretty obvious pretty fast what toys keep the kid engaged and which don’t. A few months ago our kid was very much into pulling Kleenex out of their box, so I cut a few fabric straps, knotted them together into a long string, and stuffed them into an empty Kleenex box so he could pull out the content to his hearts delight. Now he’s more into stuffing things into containers. Our version of a piggy bank-like toy is a water bottle and (big) pompoms or pipe cleaners, and a batter mixer and craft sticks. But the single one toy that he plays with extensively every day, in a myriad of ways I would have never dreamt up is a pound bench with a xylophone (https://www.amazon.com/gp/aw/d/B00712O2D6/ref=mp_s_a_1_1?ie=UTF8&qid=1510631002&sr=8-1&pi=AC_SX236_SY340_QL65&keywords=hape+pounding+bench&dpPl=1&dpID=41zFcW1aQJL&ref=plSrch). He likes it for the primary purpose of hammering those wooden balls and playing the xylophone, but he takes the little mallet wherever he goes to pound whatever comes his way, he uses the bench as a push toy, he practices hand-eye coordination by sliding the xylophone in and out… seriously, this is gonna be my go-to present for toddlers from now on! !